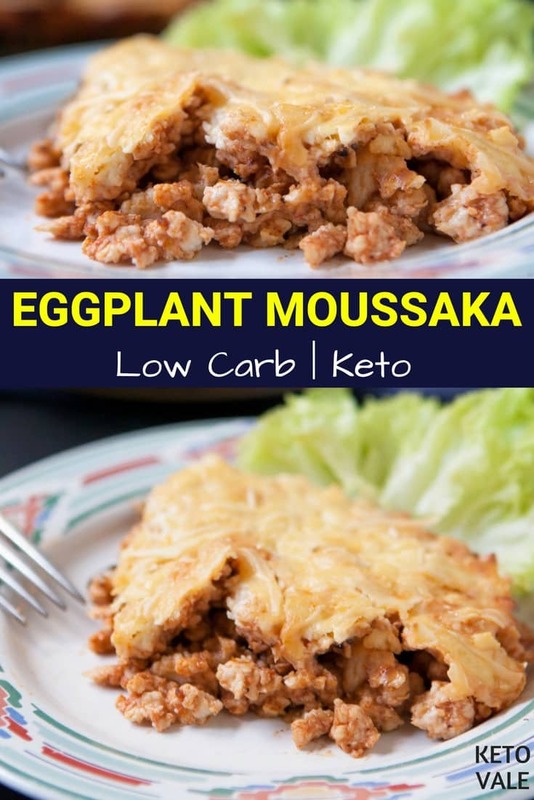 If you never heard of moussaka, think of it as meat version of cheesecake, since the preparation and the amount of whipped fat dairy products used will surprise you with a pleasant result if you ready to spend some time in the kitchen. 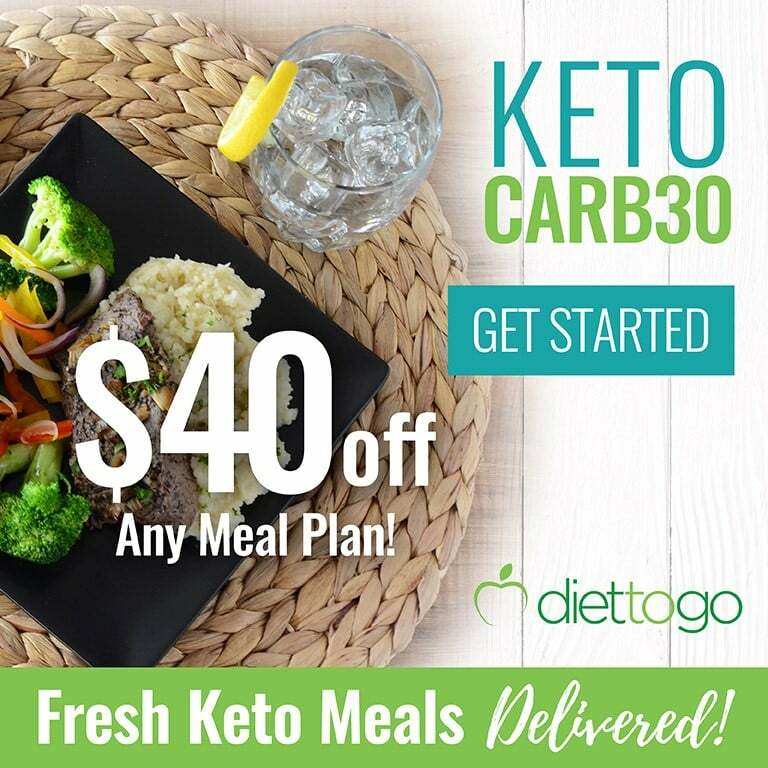 A lot of ketogenic recipes are taken from Greek and Balkanian traditional cuisines, since the beginning of time people that lived in highlands knew the importance of fat on their tables. This Greek moussaka combines the main and side dish in one, multi-layered, lasagna-like cake. It can be baked in your usual pan or in one of those fancy brownie pans with multiple separators. Either way, you’ll have a crispy edge, strong base layer and fluffy cloud of cheese on top. 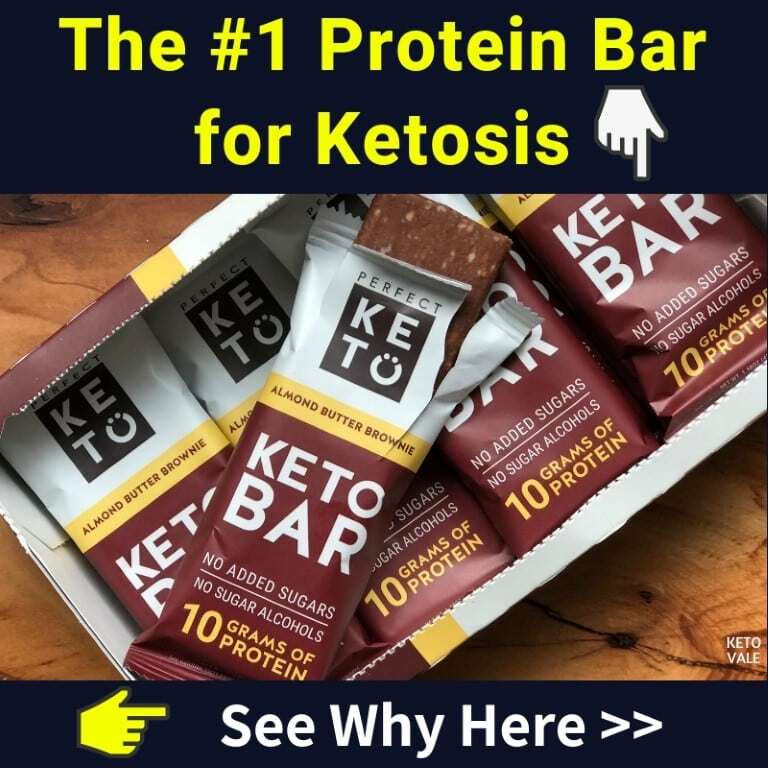 If you already tried other of our multi-layered keto recipes, you can skip this part, if not – main rule is that heavy ingredients are layering first. Eggplant or zucchini cut in slices are going in first creating a base, you can play with it by interlacing them in chequer pattern. 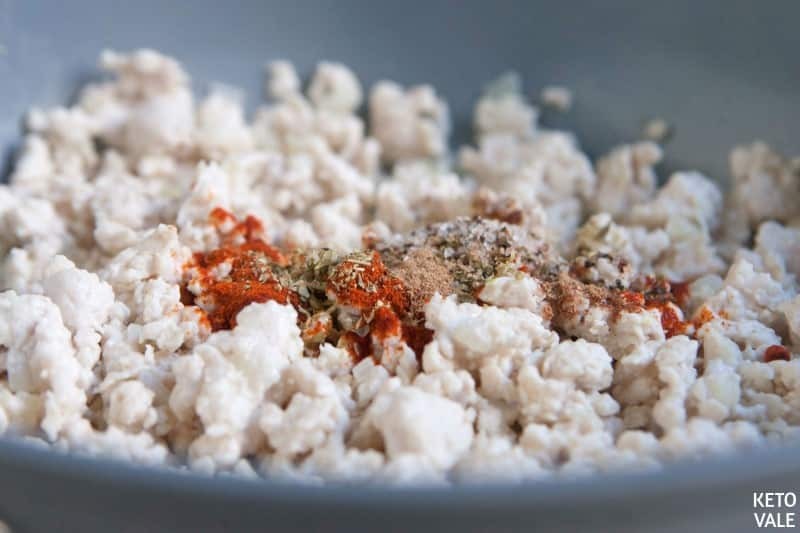 Then the mix of precooked meat with tomatoes and seasonings, later you will understand why everything should be already precooked before going into the oven. And the last layer is the cloud of heavy cream and cheeses that are whipped and melted to the unbelievable state of marshmallows. 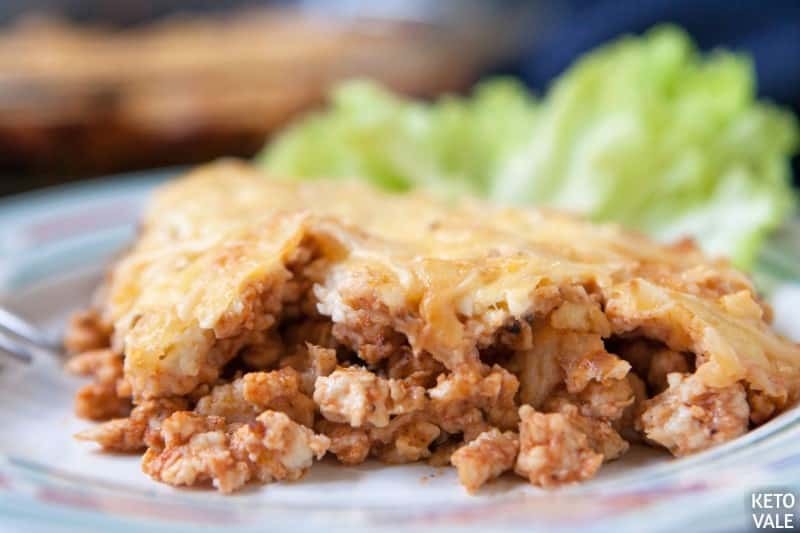 Now since everything is already cooked and melted the 20 minutes in the oven will just glue the layers together and let them merge into one another, also creating a crispy, golden dome on top of your moussaka that will be fun to crack with a fork. Cut eggplant into thin slices and place them in a baking tray baking tray. Brush eggplant with olive oil then broil for 5 minutes or until golden. Remove and set aside. In the meantime, we prepare the chicken. In a frying pan over medium-high heat, ad olive oil in. Add garlic and onion and cook until soft. After that, add ground chicken and herbs and saute until cooked. Add tomato sauce (keto-friendly marinara sauce) and simmer for an additional 3 minutes. Set aside. Next, we prepare the sauce. 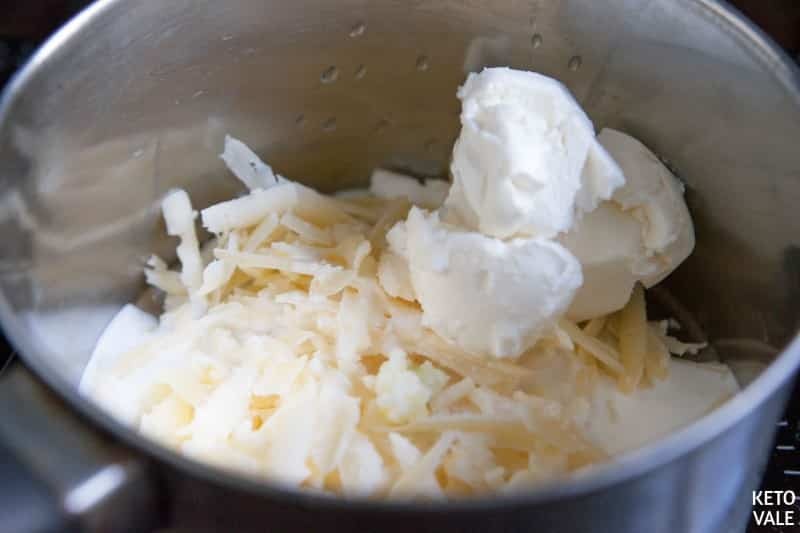 In a saucepan over low heat, combine heavy cream, cheddar cheese, cream cheese, garlic, and salt. Stir until the cheese is melted and sauce becomes thick and homogeneous. Finally, let’s assemble everything ready for baking. 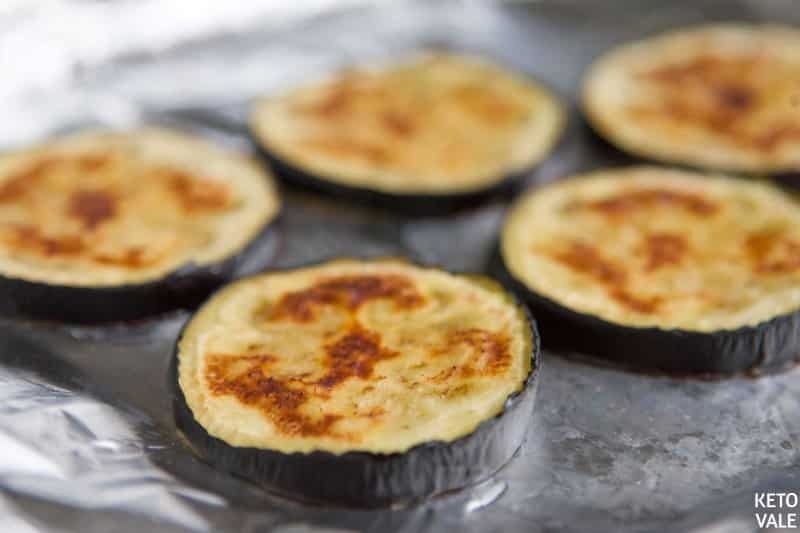 In a baking dish, place the roasted eggplant slices in the bottom as the first layer. 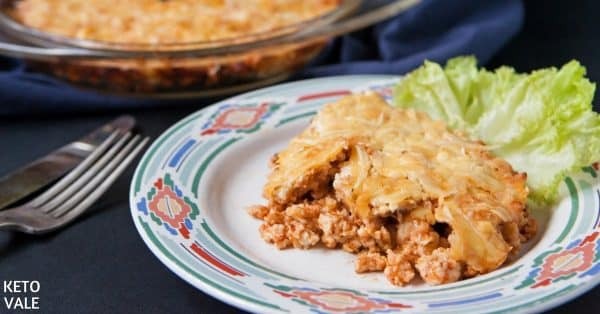 Add chicken mixture as the second layer then spread the cheese sauce on the chicken and finally top with the remaining cheese. Bake for 20 minutes in the preheated 400F oven. Once the cheese is golden, remove and let it cool for 5 minutes before serving. 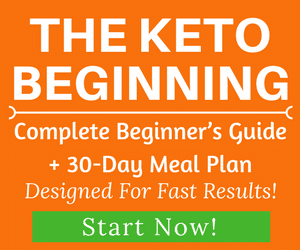 This can be served alone or with some leafy greens or a low carb salad. Line a baking tray with foil. Slice the eggplant, transfer to the baking tray and brush with olive oil. Broil the eggplant for 5 minutes or until golden. Heat the olive oil in a frying pan, add chopped onion, minced garlic and fry until soft. 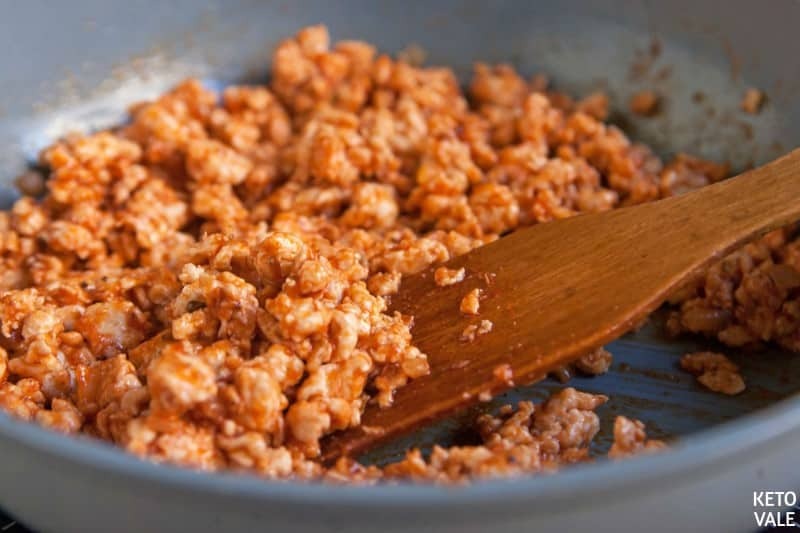 Add ground chicken and seasonings and fry until meat is cooked. 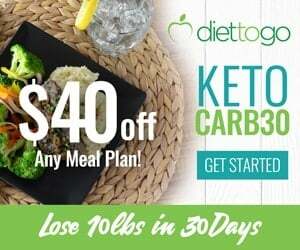 Add keto tomato sauce, stir and cook for additional 3 minutes. 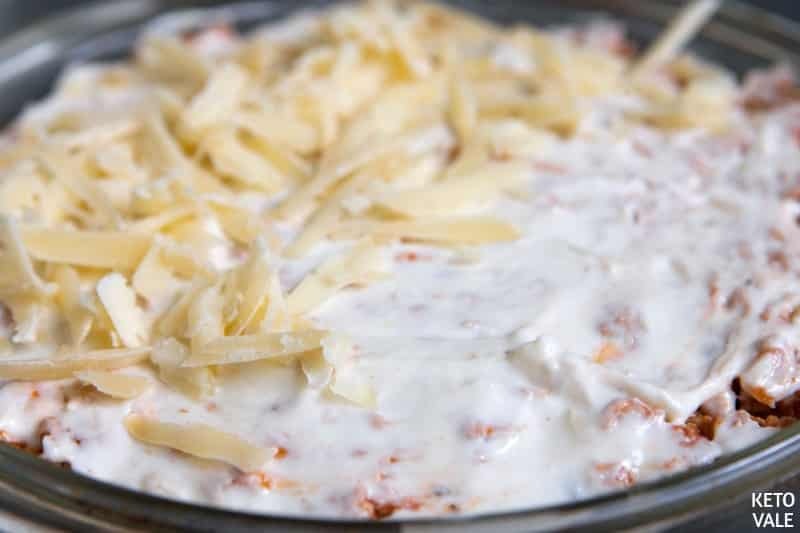 Combine half of shredded cheese, cream cheese, heavy cream, garlic and salt in a saucepan and heat on low until cheese melts and the sauce become thick and homogeneous. Preheat the oven to 400F. 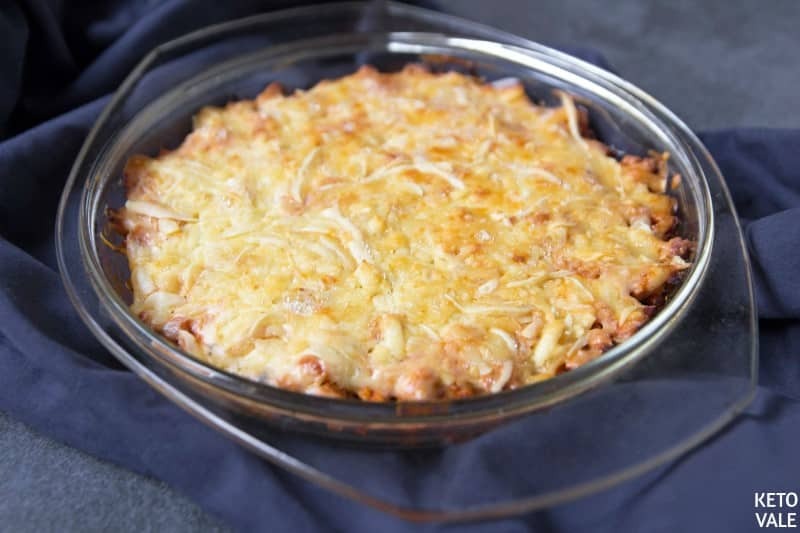 Place slices of broiled eggplant in the bottom of a baking dish then top with chicken mixture, pour over the sauce, sprinkle with remaining cheese and bake for 20 minutes. 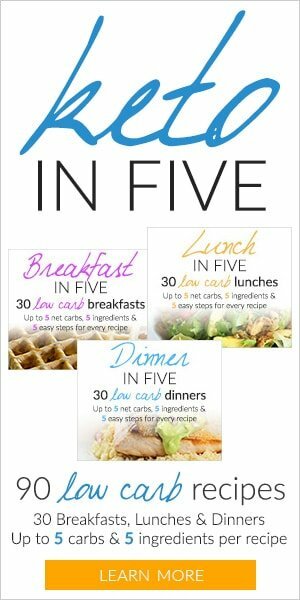 Allow to stand for 5 minutes before serving. 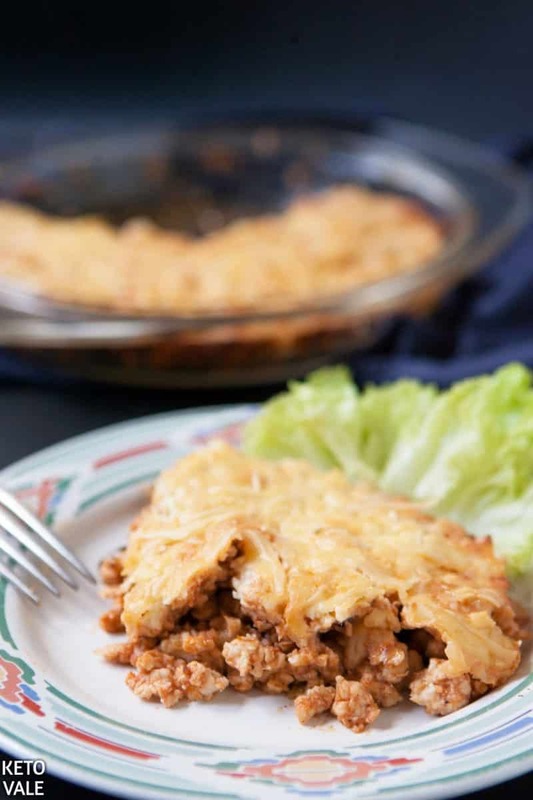 Can be served with green salad or some leafy greens.